No matter how much space you have for your garden, you still can make it look amazing if you know how to do the gardening in the right way. It not only makes your home look appealing but also bring tranquility into your life. Moreover, it provides a very refreshing effect on your mood and gives you energy. Gardening is not an easy task, but if you merely give a few hours on a daily basis, then it will soon become easy for you to maintain it. If you want to learn how to take care of your patio space, check this link: royalcovers.com. In this article, we are going to share with you some of the things that will help you do successful gardening. Follow them, and you will see the wonders that these tips will do in your garden. The soil is the living place for organisms and source of minerals that help plants to thrive. Now, first decide a nice corner in your house where you want to start gardening. Dig properly into it to remove unwanted plants, such as weeds and grasses. Other than these unwanted plants, take out all the rocks and sticks from the soil to make it homogeneous in texture. The best soil that you must use for your garden is loamy soil. This soil is a combination of two type of soils, that include the sandy soil and the clay soil. The sandy soil is lost and dry while the clay so is loaded with lots of essential nutrients and is also rich in moisture. A combination of these two soils is amazing and help you grow good quality plants and vegetables in your garden. 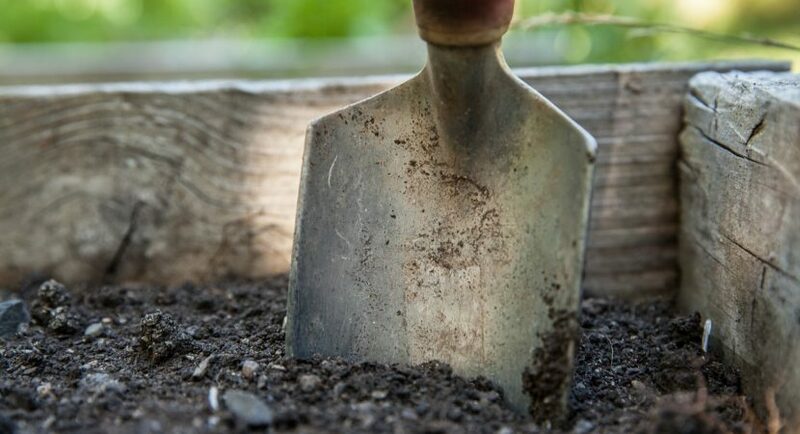 Now after choosing the right soil, dig into it for almost about six to eight inches down. Then add compost and organic manure to make it even richer in nutrients and then plan the vegetables or fruit trees you want. When it comes to choosing the ideal light entry for your garden, it is not easy especially when the size of your garden is small. As proper light is very crucial for plants to grow, therefore, it is very important that you maintain the proper duration of light requires by your plant. As light start all the basic reactions in plant body to make food, so you cannot ignore this need of plants. Now if you are going to grow flowers and vegetables in your garden and your garden receive sunlight for complete 6 hours every day. In this case, it is very easy that you can grow these plants as this amount and duration of light are more than enough for them. If you feel that this duration of light is not possible for your garden, then chose to grow plants that can grow well in the dim and short duration of light. A general fact is that the plants that grow in the south portion of your garden will get maximum sunlight all day, while those that will grow in the North will not get direct and intense sunlight at all. By keeping these facts in mind, you can choose to grow suitable plants in each portion of the garden. If you want to grow plants in your garden, then water is another important requirement of plants that you have to fulfill. All plants need water after small intervals of time. Some plants need more water, and some want less, but on average an inch of water must be provided to every plant thrice a week. The tip for watering that most of the experts emphasize gardeners to follow is that watering should be done in the morning time or in the evening time when the sunlight intensity is not very high. This is because high sunlight intensity results in evaporation of water and thus plants will not get enough water, and you will also face water loss. These are the most common and most important things that you have to keep in mind and provide your garden plants so that they can thrive best. If you ignore any one of them, it will create a problem and your plants will either not grow well but also, they will work in some cases even death.